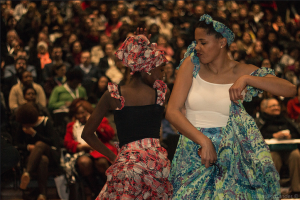 In 2014, BYP began a new venture by expanding its range of activities and deepening the social impact on the community by implementing Fado dançado workshops and performances. 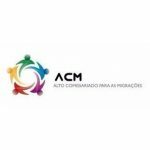 This project is thus based on the recreation of the choreographies of the various Luso-Afro-Brazilian dances incorporated into Fado dançado. 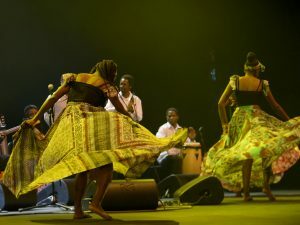 By presenting this concept to the immigrant communities and the society at large, BYP is helping to contribute to a better understanding of Portuguese culture and a wider awareness of the importance of Angolan, Cabo Verdean and Brazilian cultures in the emergence and recognition of what is considered Portugal’s greatest intangible heritage. 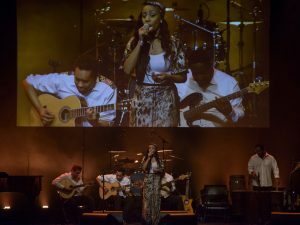 Indeed, since Fado emerged associated with dance in Lisbon’s lower income class context, we think it only makes sense to revive the concept of Fado dançado, presenting it to the newer generations which never came into contact with this art form. 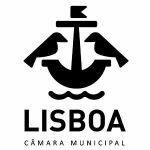 This project has also been followed by a documentary and was distinguished with the award “Best Practices | Youth Association” by the Portuguese Institute for Sport and Youth. 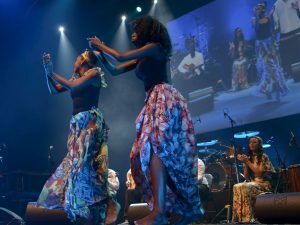 Since the beginning of 2016, BYP has taken this project to new contexts, training young people and adults in the Oeiras Municipality in the technical artistic skills of traditional African dance, Portuguese guitar, classical guitar and traditional African percussion related to the tradition of Fado dançado. For more information or requests, contact us. Check out our Gallery to ser more photos and videos of our performances.